Let’s start off with something you want to know about Driving Lessons Bodmin. You will receive not only top class tuition from your driving school in Bodmin but also a great offer to start you off and continued great prices afterwards too. You will receive a great level of customer service from the moment you book your driving lessons Bodmin to beyond the day you pass your driving test with your driving instructor. We make the whole process from booking your driving lessons to even booking your driving test for you easy. All you need to do is turn up for your driving tuition and let your driving instructor coach the best out of you so you become a safe driver and confident to handle all that Bodmin and further afield roads have to offer. You might be looking for the beginner driving lessons having had no experience at all. Maybe you have had a few driving lessons with Mum or Dad and need some additional help to prepare you for your driving test. All of these types of driving tuition are available with your Driving School 1st 4 Driving. Alternatively you might be looking for some refresher driving lessons. Some people need these after a break in driving or after a health problem to get them back into driving. There are too many reasons for refresher driving lessons in Bodmin to list here. Refresher driving is certainly something we can assist you with. Advanced driving is also under our remit and portfolio. Preparing you for other driving tests or even to becoming a driving instructor in Bodmin. We are always looking for people who might want to train to be driving instructors. Mum, Dad taught your children and thought ‘I could do this’? well, we’d love to hear from you. Weekly, fast track and intensive driving lessons Bodmin are all catered for. The way you want to learn is different from the way your friends want to learn. We know you are an individual so we can offer very flexible driving lessons. Maybe you want to be picked up from home for your driving lesson and dropped off at school or Bodmin college? Your driving school will be flexible and when you contact us to start to arrange your lessons, tell the office or your driving instructor how they can help you. Bodmin has its own driving test centre at Bell Lane and during your driving lessons in Bodmin your driving instructor will certainly take you there in preparation for your driving test day. On the day we will ensure that your examiner, the car for you to take your test in and your driving instructor are all coordinated ready for you. Normally you would take your driving test in the same car that you have been having your driving lessons in so you will be familiar. Your driving instructor will know all the little areas that might give you problems and will take you to practice them so you will be 100% confident on the day of your driving test. Bodmin driving test centre is a lovely little test centre and is ideally suited for you. During your driving test you can be taken on many different types of roads. Because of this your lessons you will cover many types of road layouts and situations. The A38 main trunk road is accessible from the test centre and part of your driving lessons will be on this road too. Bodmin driving lessons will take you on all the main roundabouts so you get comfortable and confident with them. You will be guided through the familiar with the famous road system in Bodmin. All this will be taken at ease with you on your driving lessons Bodmin. You will find that your tuition will be helpful and fun as you explore all that the area has to offer. Bodmin is one of Cornwall oldest towns and about 32 miles from Plymouth. Bodmin has a lot of history. Back in 1497 (even I wasn’t born then) the Cornish rebellion started with 15,000 Cornish men marching on London. Bodmin is quieter now and is a very tranquil town. There is the famous old Jail now a museum and supposedly haunted. Lots of cycle tracks (you’ll need to avoid these on your driving lessons) surround Bodmin and many great walks. There is also the famous Camel Trail a particular favourite of mine. Also there is a Historic railway at Bodmin too so plenty to see. There are 2 main colleges, Bodmin College and Callywith College. Bodmin also has plenty of schools all of which are in your area for driving lessons. There are also some major employers such as West Country Foods. 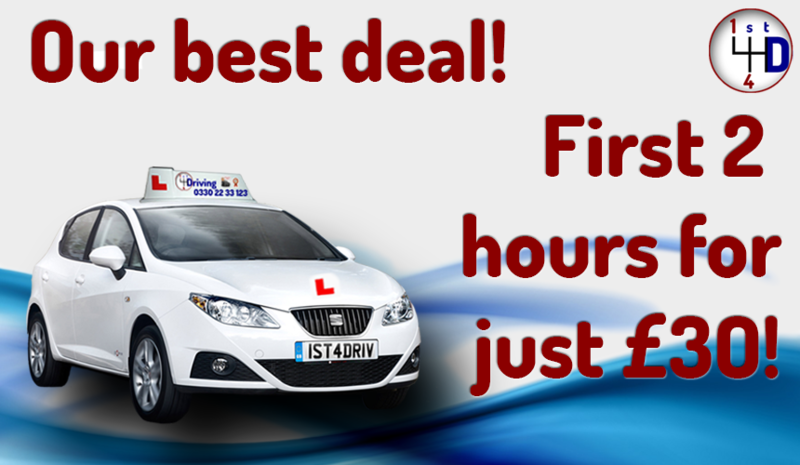 1st 4 Driving can offer you great deals and prices for your driving lessons in Bodmin, so why not click the link or give us a call to make a booking. To book your Driving Lessons Bodmin online, simply click here Book Driving Lessons Bodmin. 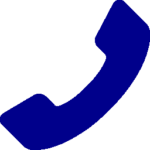 Alternatively, you can call us on 0330 22 33 123 or email. You can also use the chat widget below. Chat: That little chat thingy that keeps popping up in the bottom left hand corner.